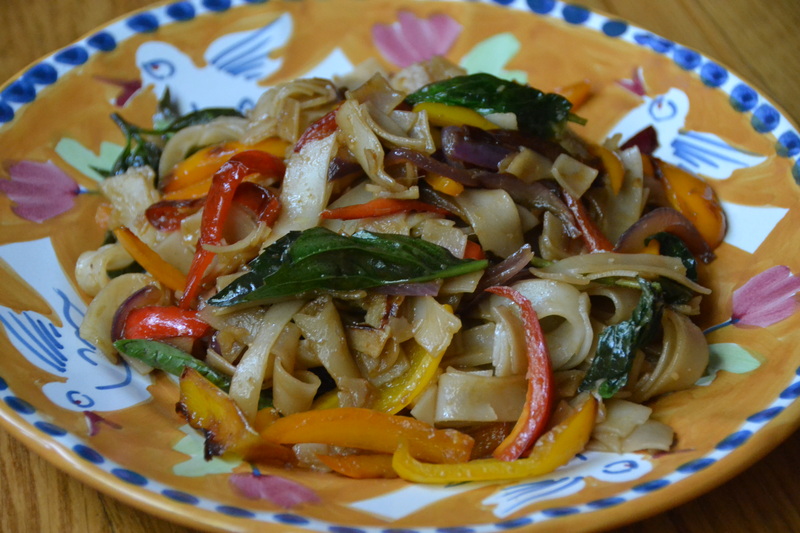 Last week I decided to learn how to make one of my favorite Thai food takeout meals, Pad See Ew. 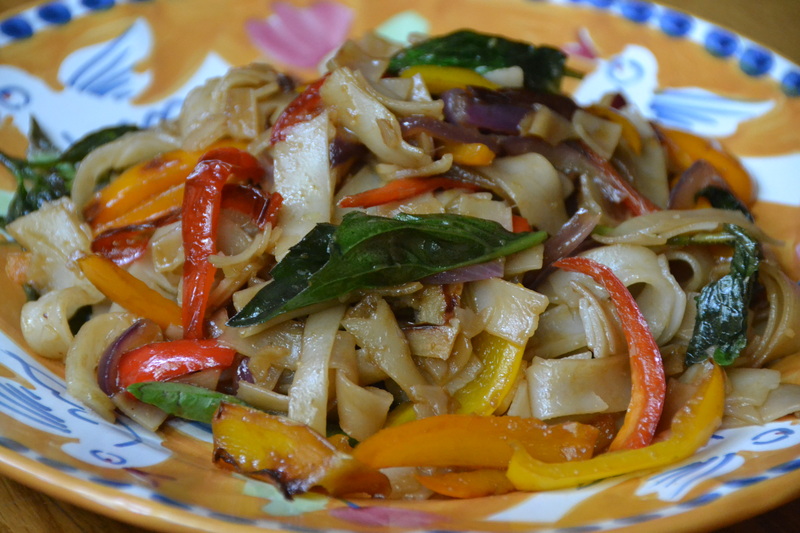 Pad See Ew is a stir fry made with wide rice noodles in a soy based sauce, a salty-savory cousin to Pad Thai. I used fish sauce but I go pretty light on this pungent ingredient as I find a little goes a long way, but increase the amount if you’re so inclined. The same goes for the chili pepper. I used a tiny one and it provided the right amount of heat for me. I made a vegetarian version (I usually make myself vegetarian dinners when Joe is out of town) but this would be great with thinly sliced chicken or beef or even ground pork. I used sweet peppers as my main veggie but I think next time I’ll change things up with broccoli, sliced carrots and bok choy. You should be able to find rice stick noodles in the Asian section of your grocery store. The final results were delicious and on the table in less than 20 minutes, far less time than it would take to drive to drive to The Thai Cafe. This was great reheated the next day for lunch.